Design a large scale wall unit or create a small cube storage area in your home with these black and white wooden cubes. They are able to be connected together to avoid movement with interlocking lugs. 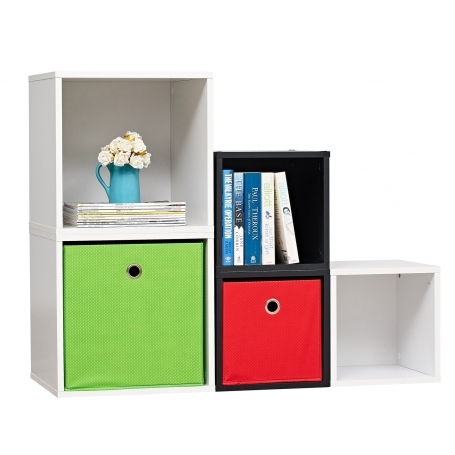 Great for storing books, useful in the teenagers bedroom, childrens playroom.